Styled around a naga , we designed it very aesthetically so that the coils look elegant . With the scales showing very clearly across the kada. 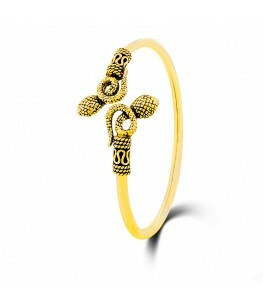 This is a unisex kada and can be worn by both men and women. This Kada is made with pure 92.5 Sterling Silver which is the highest proportion of silver that can be used to make jewellery. Diameter: 6.5 cms. Om Namah Shivaay !!! !